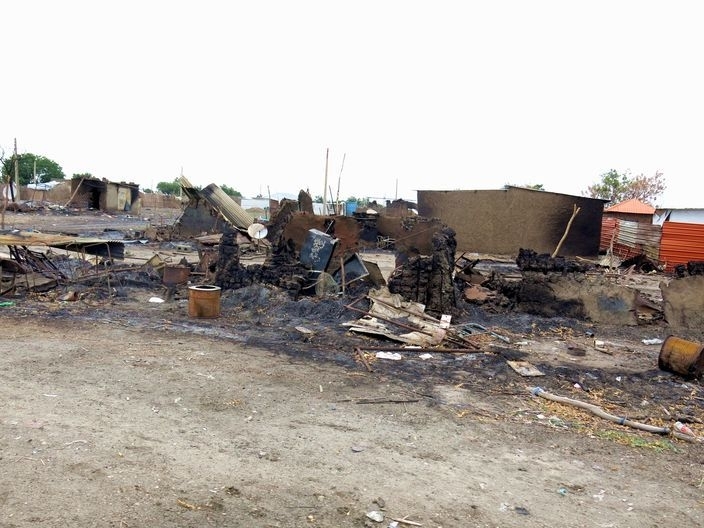 Médecins Sans Frontières/Doctors Without Borders (MSF) has resumed activities in Melut, Upper Nile state, 16 days after renewed fighting in mid-May forced the organisation to suspend medical activities and evacuate staff. The ongoing conflict and recurrent periods of shelling in Malakal and Melut are still making it difficult both for MSF teams to provide medical assistance and for people to access healthcare facilities. Suspending medical activities has meant the host population and the 20,000 internally displaced people in Denthoma 1 camp in Melut have not been able to access healthcare during this time. Those living across the Nile in the neighbouring Wau Shilluk and Noon areas, which host around 37,000 and 7,000 people respectively, have also been cut off from humanitarian assistance. Some patients receiving treatment for diseases like HIV, TB and kala azar were forced to interrupt their treatment, which could lead to drug resistance and be fatal. Melut town, destroyed during renewed fighting in mid-May, 2015. When MSF teams returned to Denthoma 1 camp in Melut, after a week’s absence, they were shocked to find the hospital, office and pharmacies looted and vandalised. Water tanks were riddled with bullet holes and people had been without safe water for three days. This prompted MSF to launch an emergency procedure and to start distributing water purifiers to 4,000 families so they could treat the Nile river water. MSF has also restored the water purifying system that supplies the camp with around 120 cubic metres of clean water per day. At the Protection of Civilians site (PoC) in Malakal town, medical consultations continue to increase with emergency-related consultations rising from 301 in January to 861 in May. MSF continued to provide medical services to the 30,000+ population, including those injured during inter-communal clashes, and people with diseases like malaria, lower respiratory tract infections and diarrhoea. “All MSF wants is to provide healthcare to the population, regardless of ethnicity, political affiliation or religion,” said Miroslav Ilic, MSF Head of Mission in South Sudan. “It is essential that people continue to have access to quality, life-saving medical care." 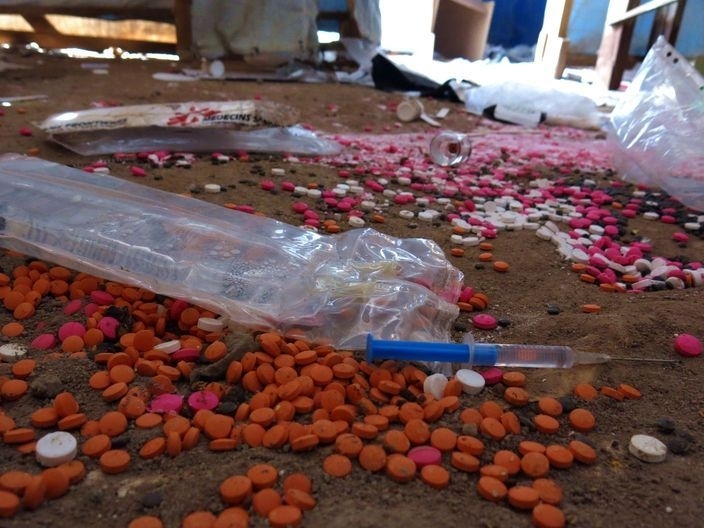 The pharmacies were looted and vandalised in MSF’s hospital in Denthoma 1 camp. High insecurity in the past few weeks has hampered MSF teams’ ability to move across the Nile to reach people in remote areas of Wau Shilluk and Noon. MSF has been forced to only conduct ‘flash’ medical visits, to attend to urgent medical cases and supply drugs to TB patients to ensure their treatment is not interrupted. Until the security situation stabilises, the teams cannot conduct activities normally, making life more difficult for these isolated communities. Administrative hurdles and security constraints are constantly making it difficult to deliver humanitarian assistance: planes cannot land in conflict zones making it difficult to deliver essential items, including medicines. With the rainy season soon to start, roads will be blocked and rivers will burst their banks making transportation to remote areas even more difficult, leaving populations in these areas even more vulnerable. It is therefore imperative that the warring parties in these areas to prioritise the provision of humanitarian aid to these remote populations during this time of conflict.